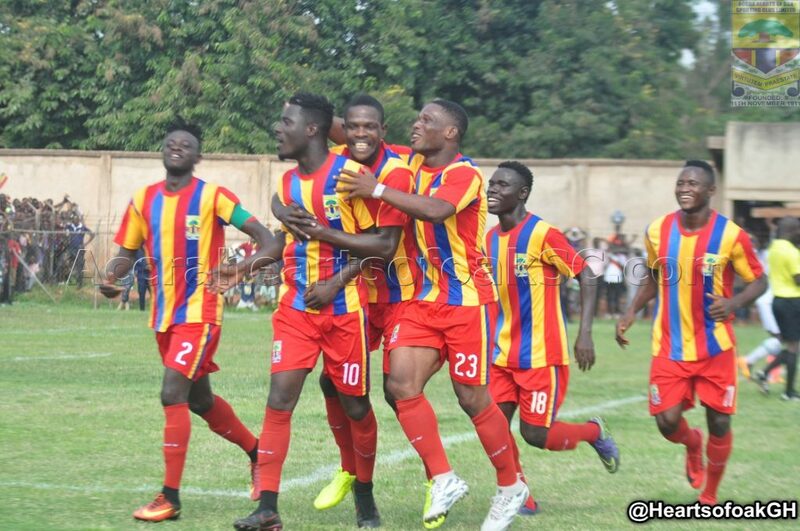 Ghanaian giants Hearts Of Oak thrashed Tudu-based Mighty Jets 3-0 in a friendly encounter at the Pobiman training complex on Wednesday. In form striker Selassie Bakai, youngster Kwadwo Obeng Jnr and Abubakar Traore scored for the Phobians as the team prepares for the forthcoming Normalisation Committee special tournament. Selasi Bakai, who came on from the bench headed the Phobians into the lead after connecting a perfectly struck corner kick from Alidu Namhan in the 43rd-minute mark. Hearts went into the half with the goal lead. Hearts continued from where they left off after the break by increasing the tally in the 61st minute through Kwakwo Obeng Junior who finished off a smart assist from Manaf Umar. Abubakar Traore put the game beyond the reach of Mighty Jets after tapping home the third from close range to give the Rainbow boys a comprehensive three-goal lead. This is their second win in five days following their narrow win over Future Soccer Academy last Sunday at the same venue.